Most people agree that witnessing a live performance is not the same as seeing it on screen; however, most of the performances we experience are in recorded forms. Some aver that the recorded form of a performance necessarily distorts it or betrays it, focusing on the relationship between the original event and its recorded versions. 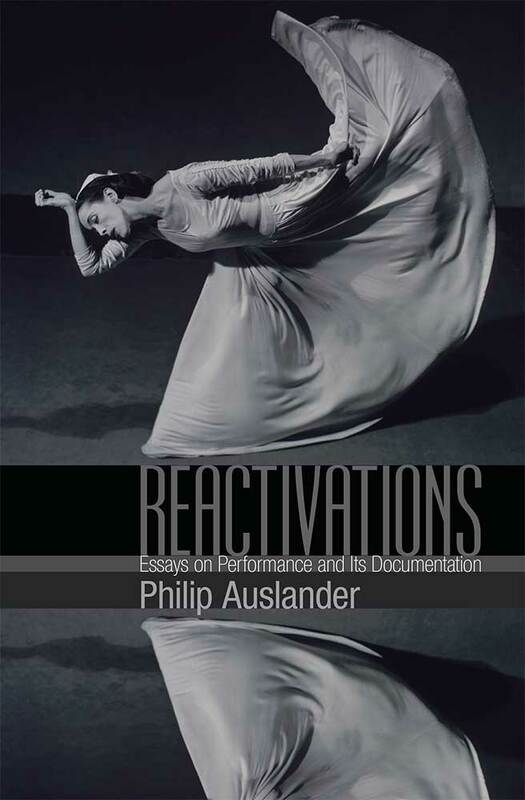 By contrast, Reactivations focuses on how the audience experiences the performance, as opposed to its documentation. How does a spectator access and experience a performance from its documentation? What is the value of performance documentation? The book treats performance documentation as a specific discursive use of media that arose in the middle of the 20th century alongside such forms of performance as the Happening and that is different, both discursively and as a practice, from traditional theater and dance photography. Philip Auslander explores the phenomenal relationship between the spectator who experiences the performance from the document and the document itself. The document is not merely a secondary iteration of the original event but a vehicle that gives us meaningful access to the performance itself as an artistic work. Philip Auslander is Professor in the School of Literature, Media, and Communication, at the Georgia Institute of Technology.